You stand on the fence and look into the paddock. The two horses nearby particulary catch your eye - a majestic bay stallion and a graceful grey mare. They belong to Link, Hyrule's destined hero and Princess Zelda. 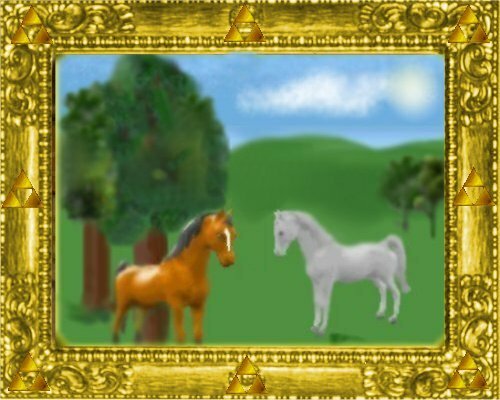 The stallion is called Carefree and the mare is called Moonmist. As you pet Carefree, you notice a scroll on the ground within arm's reach. What will you do?